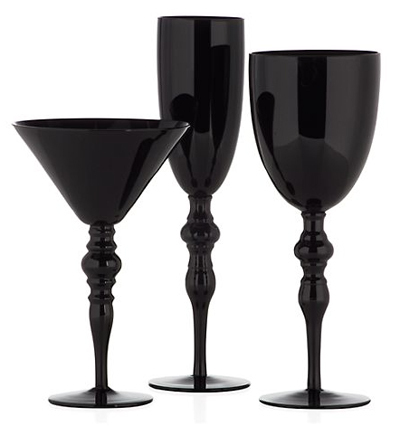 Make a statement with these Onyx Stemware goblets, flutes and martinis. Oversized in design, the classic silhouette juxtaposes against an all-encompassing color for a twist of drama and attitude. Sets of 4. $39.80. Buy here.